Japanese brokerage Nomura is lifting its year-on-year growth estimates for 2017 Macau casino gross gaming revenue (GGR) after the market posted “solid second quarter” results. 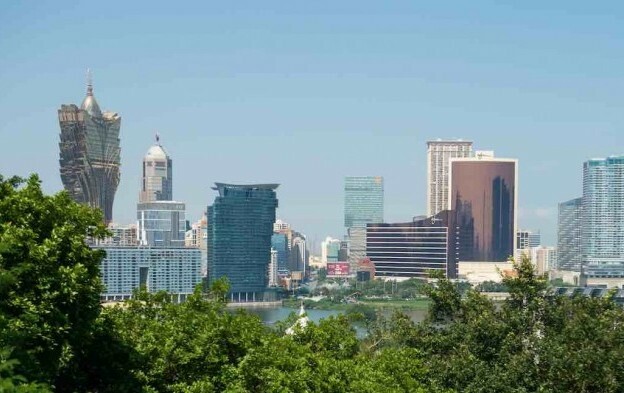 Casino gross gaming revenue (GGR) in Macau rose by 25.9 percent year-on-year in June, to MOP19.99 billion (US$2.49 billion), according to data from the city’s Gaming Inspection and Coordination Bureau, released on Saturday. Macau market’s GGR tally for the first half of 2017 stood at MOP126.38 billion, up 17.2 percent from the prior-year period, according to the official data. For the second quarter alone, casino GGR reached nearly MOP62.90 billion, up 21.9 percent year-on-year. “We lift our 2017 gaming revenue growth forecast for the second time, from 12 percent to 15 percent, after lifting it from 8 percent to 12 percent on 30 March,” Nomura analysts said in a note on Monday. “That was led by the solid second quarter, with GGR growth accelerating to 22 percent (from 14 percent in the first quarter),” they added. The brokerage expects quarterly GGR growth to decelerate to 15 percent in the third quarter and then to 8 percent in the fourth quarter of 2017. Investment analysts have suggested that recent year-on-year growth in Macau casino GGR had been driven by the typically credit-based VIP gambling segment. Brokerage Union Gaming Securities Asia Ltd said in a note on Saturday that it believed that the rate of VIP growth “eclipsed that of mass market during second quarter 2017 (+24 percent VIP versus +20 percent mass)”. Figures regarding the market revenue split between VIP and mass-market gambling during the three months to June 30 are due to be issued on a different day. In Monday’s note, Nomura pointed to four reasons “not to be carried away” by the recent VIP strength in the Macau market. “First, the recent VIP growth was not a broad-based recovery, with the growing VIP volumes enjoyed predominantly by Wynn [Macau Ltd]. Second, historically VIP has been correlated to performance of the macroeconomy, and our China economist is expecting moderation in China’s property and manufacturing industries which might affect VIP demand [in Macau],” said the Nomura team. The Japanese brokerage said it believed that the supply-led mass gaming growth “remains intact” in the Macau market. “We continue to expect hotel supply growth to drive visitation and subsequently mass GGR growth, because based on last 12-month data, there are still 15 million day-trip visits per annum to Macau (about 50 percent of total), which could be converted into higher-quality overnight visits as the city improves its accessibility, entertainment offerings and hotel room inventory,” said Nomura.